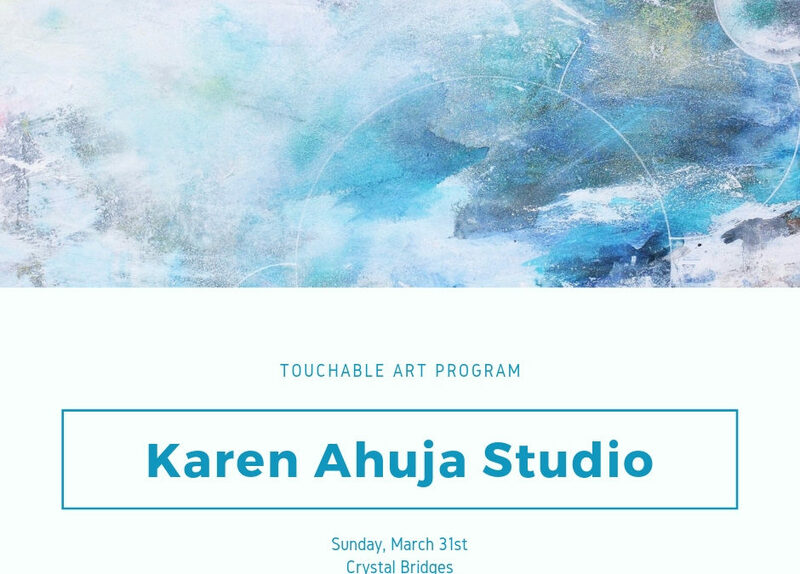 Karen Ahuja Studio will be at Crystal Bridges for a free museum experience that engages all of the senses! This event includes a multi-sensory gallery tour of artworks in the museum’s collection and a series of artworks that can be experienced through touch, made by museum staff and volunteers. This is a great opportunity to immerse yourself deeper in art and experience it the way our blind and low-vision visitors do. FREE, no registration required. Additional Information at the Facebook Event.